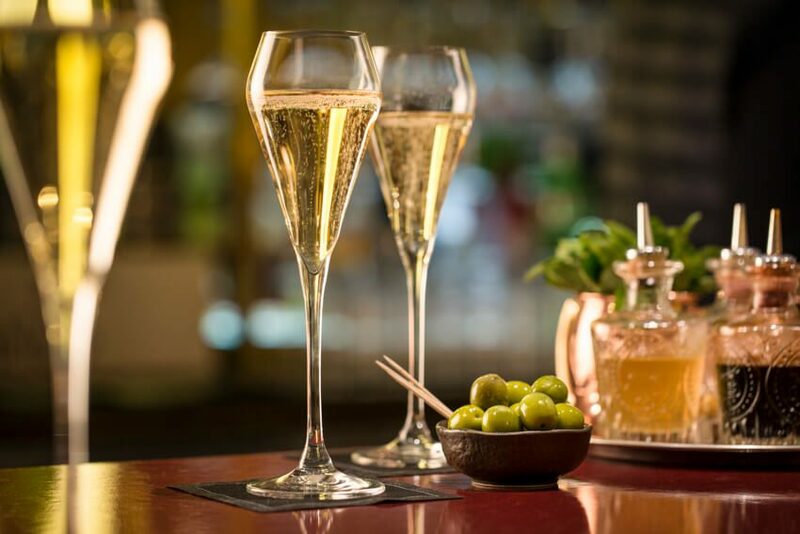 The Champagne Bar is renowned as Europe’s longest, situated right in the heart of the St Pancras International Station, allowing guests to fully appreciate the revolutionary architecture of this historic station. It features a seriously extensive list of fizz encompassing a wide range to suit all tastes as well as a British snack menu and fresh oysters. Surroundings are intimate and cosy, with the bar offering table service, a “Press for Champagne” button and ample blankets and fan heaters for year-round enjoyment. With the capacity to host a small soiree for up to 6 guests in one of the heated booths or a grandiose affair for up to 500 guests, we can cater for your special occasion from a small private drinks party with delicious canapés, to a corporate drinks reception with delectable bowl food.